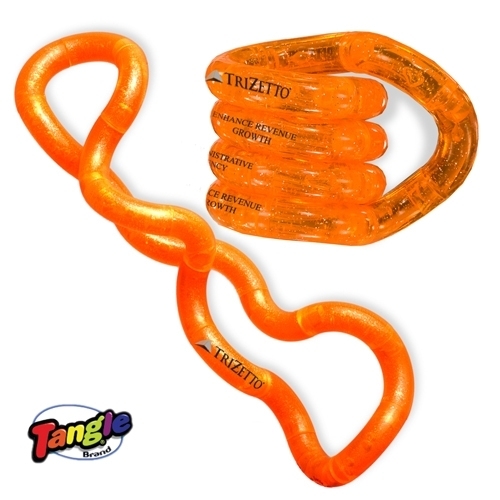 The links can be popped apart and joined together again. 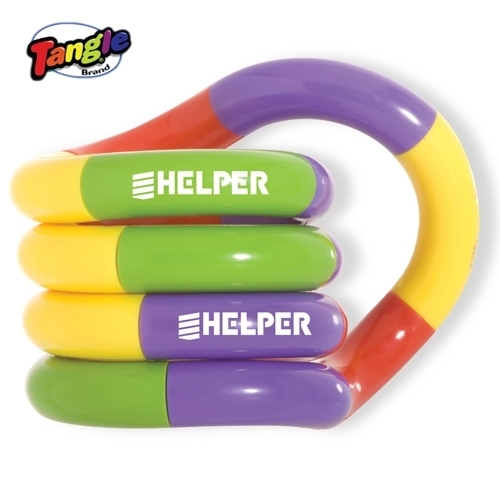 Technically, a Tangle Junior Puzzle is a series of 90 degree curves, connected and able to pivot at each joint. It has no beginning and no end- just continuous motion. 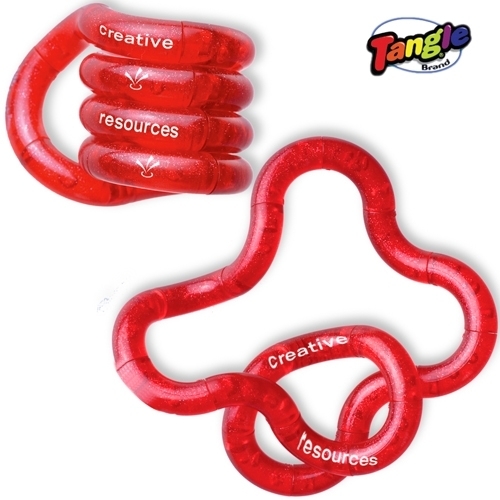 Being continually engaged with your customers is a definite plus of the Tangle (R) Junior Puzzle!The custom puzzle transforms into endless shapes and is a great stress reliever. Multiple potential imprint areas make this item as unique as you are. 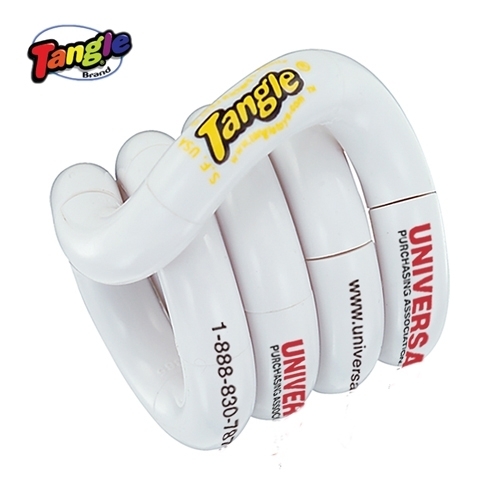 This product can remain unimprinted or you can pad print one or every ring. 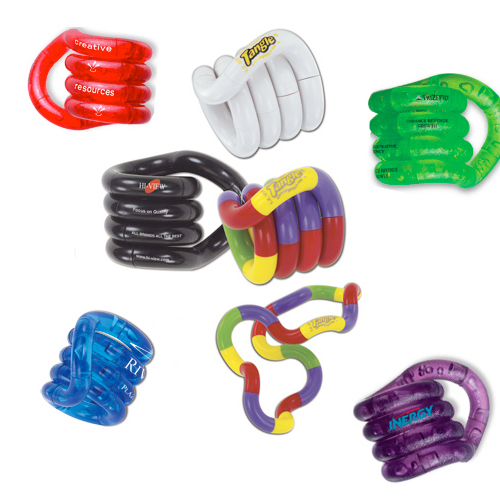 The QCA certified supplier provides a lifetime guarantee. 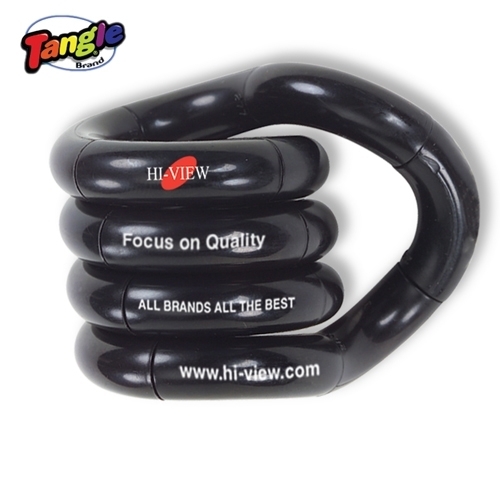 Helping your clients relieve everyday stress with this fun marketing tool means having your brand in their hands on a daily basis. Invest today! 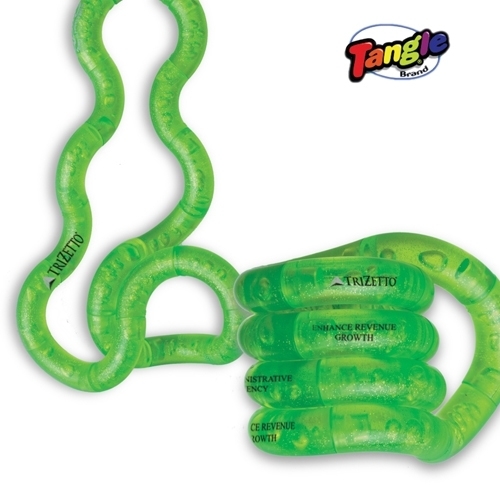 Individually Poly Bagged / 20 lbs / 260 pcs. / 10 x 12 x 10box.